University of Reading scientists will be out and about throughout British Science Week (9 -16 March) telling the public about their research and inspiring the next generation of researchers. Here is a round-up of what’s going on. The British Science Association and citizen science project Operation Weather Rescue are working together to call on the public to help scientists tackle climate change from the comfort of their sofa. Operation Weather Rescue, led by University of Reading scientists, is a great opportunity for the public to contribute to real scientific research. As the world warms, the data will provide a baseline to help us measure weather changes and monitor climate change, which will have impacts for people, communities and environments across the world. 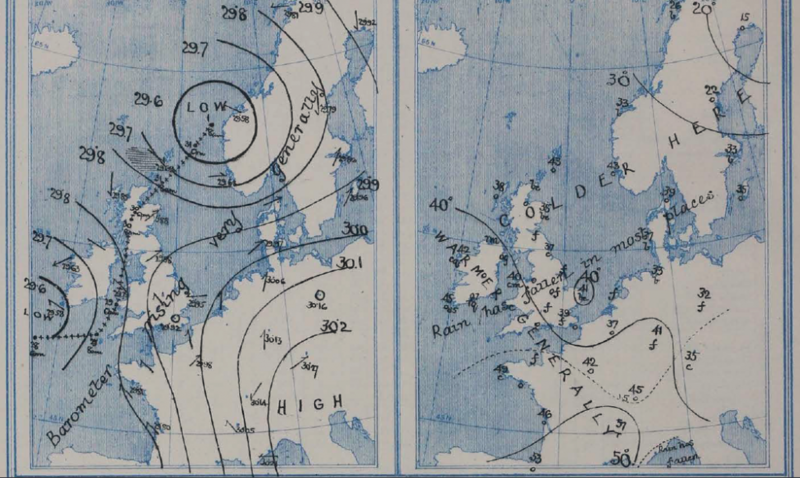 Everyone can take part – all that’s required is transcribe the data from historic weather records so the team can build a picture of how the weather changed over time when it was first recorded (1860-80). It’s hoped that enough people will get involved to help the team digitise 2.5 million pieces of data, saving meteorologists and climate scientists thousands of hours of time. Reading researchers will use the data entered by the public to better examine storms and unusual weather events in the future. The project is funded by the National Centre for Atmospheric Science (NCAS) and the Natural Environment Research Council. Find out more about the project and sign up here. Of all the ancient human technologies, fire is perhaps the most evocative, and a critical part of the human evolutionary journey. It is also one of the hardest to detect. This free event from our Department of Archaeology will showcase ongoing experimental research that is exploring early campfire technologies. The scientists will show how they are testing a variety of methods for detecting fire half a million or more years ago, during the expansion of humans into northern Europe. Sunday 10th March: Why are plants smelly? Have you ever sniffed a plant and wondered why it smells? Reading Botanists have all the answers. At this event you can get totally immersed in the world of smelly plants, both sweet and stinky, getting the chance to scratch and sniff them, discuss the chemistry behind their aromas, find out about the role of smells in plant defence and pollination, and the human dimensions: food, medicines and health. The public are invited to join us for a peaceful walk around the University’s award-winning campus where you’ll be guided around the lake, wood and Harris Gardens to take in the flowers, trees and wildlife. Wednesday 13th March: Great Debate: Can new technologies transform healthcare? The increasing adoption of digital technology has resulted in fundamental changes in many industries. Yet healthcare, which represents about 10% of global GDP, has lagged other sectors. This is about to change as big data and artificial intelligence will deliver improvements in diagnosis and treatment that will increase health care’s reach, efficiency, accuracy and reduce waiting time for patients. Technological advances offer significant opportunities to improve healthcare and have the potential to deliver significant value for the NHS. This year’s Great Debate will provide an update on the latest technology advances to deliver these benefits. 50 million people around the world are living with dementia and that figure is set to reach 152 million by 2050. Find out from University of Reading Pharmacy Professor Mark Dallas how understanding ‘brain glue’ could hold the secret to detecting dementia decades before the first symptoms appear. Take a neuroscience journey to explore the ‘hoovers’ and ‘police officers’ in your head and how dementia affects them. The talk takes place at Basingstoke Discovery Centre. This Late explores the non-human countryside, showcasing research and creative practice from the University of Reading and beyond. It promises to be an evening of weather, wildlife, livestock, machinery, plants, and much more. You can avoid other people at a silent disco, drink cocktail and visit Maria McKinney’s art installation, Sire. Under fives are invited to come to MERL to discover the benefits of outdoor learning. 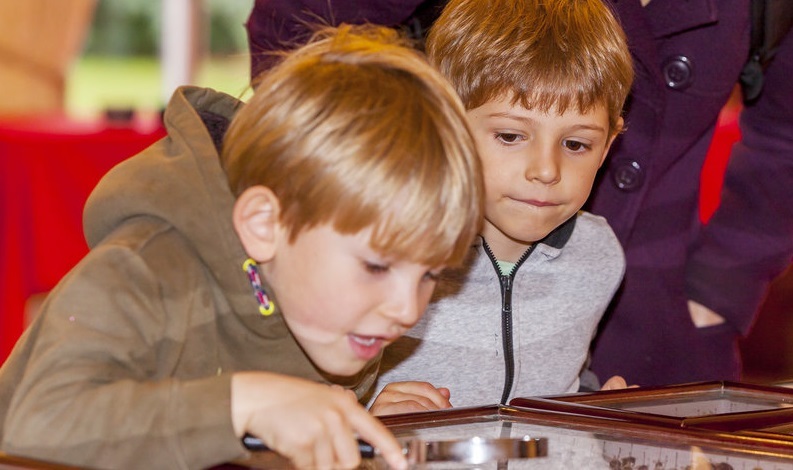 There will be outdoor activities inspired by both the themes and collections of the museum and that of this year’s British Science Week: Journeys. Children can enjoy outdoor play and explore the natural environment. Each session involves story-telling, craft activities and singing. This year the British Science Week’s citizen science project originates in part from University of Reading. To honour this, we are running our first hack-a-thon event! Everyone is welcome to come along and get involved in the project. You will also have the opportunity to hear more about the motivations behind the project and how the data will be used from the scientists behind the project. We will have experts on hand to answer your weather and climate related questions. See the full list of British Science Week events taking place this week in Reading.